Seeing the sites and being able to scoot around, play chess, and getting some family portraits done. Multi-tasking I tell ya. Yes! A Photo can bring so many memories! Do you know you could move to a different continent and have 10 years pass but when you open that album or look at that photo on the wall, you remember a lot of things that happened around that time? How you were feeling, how your child was cranky, what made her laugh, what was important to her, why that location was special, what we did after, how we prepared, what we did while we were waiting for the photographer and so on. A single image can let you relive your past. That moment will last forever You could argue any image will do but there's something special about a professional photo. How the subject pop in beautiful color and the background disappearing just to let the child stand out. The perfect moment that capture the smile or even the inquisitive turn and etc. Do not delay Book your shoot now by McLean VA photographer! go to Contact and let me know what you are looking for! Photo session can be as special and personal as you want it to be. Don't delay as today will pass when tomorrow comes. McLean VA Photographer, Yon Chung Photography, takes beautiful children's portraits at your home or outdoors. I can actually feel the warmth of the sun melting the coldness on my arms. It felt so nice coming out from a vented indoor fan! Believe it or not, below photo was taken after the soccer practice where kids were wet from the running around in the rain! =) There was a beautiful field of yellow flowers behind the elementary school the kids were playing recreational soccer. It is amazing how there are just so many beautiful places all around McLean! Now that I look at this photo,, I think I've seen this mommy somewhere else... hmm.. Speaking of warmth, did you know in July there is a 100 feet water slide coming to Tysons Corner street? I have heard that it can be hit or miss, depending on the location. I hope there are no crazy people to ruin the fun event. Check out Slide the City. It was a super duper long flight. Pack out was stressful. Leaving friends painful. Missing Yangon and all the amazing friends we made!!!! However, we have made it back. Arrived safely with no issues. Still jet-lagged. But well rested and revived. We are looking forward to the new adventure here in our new home, new faces we will meet and the new community we will call home. We want to thank the Lord for all this! 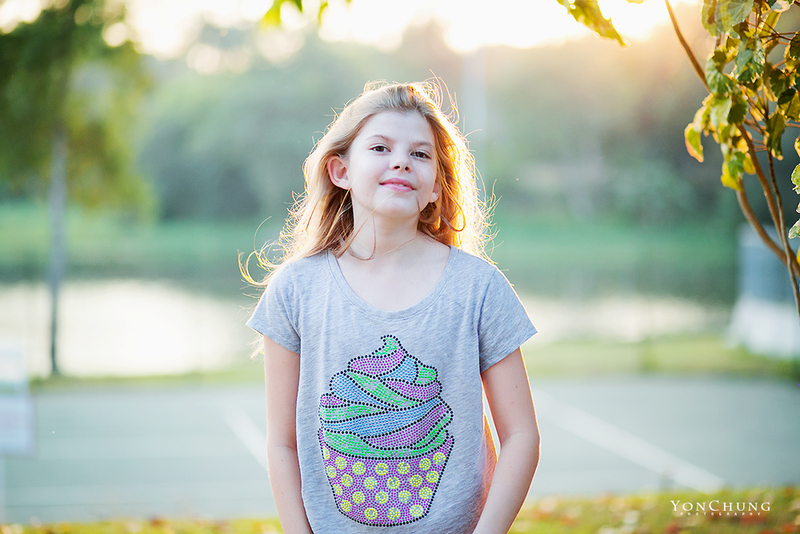 I am available for a portrait photo sessions in Northern Virginia as of now! Just like the family show in the portrait below, get your beautiful generation portrait taken in McLean VA, Fairfax County. Portraits are tangible goods that shows we were together on this earth together sharing time and moment. 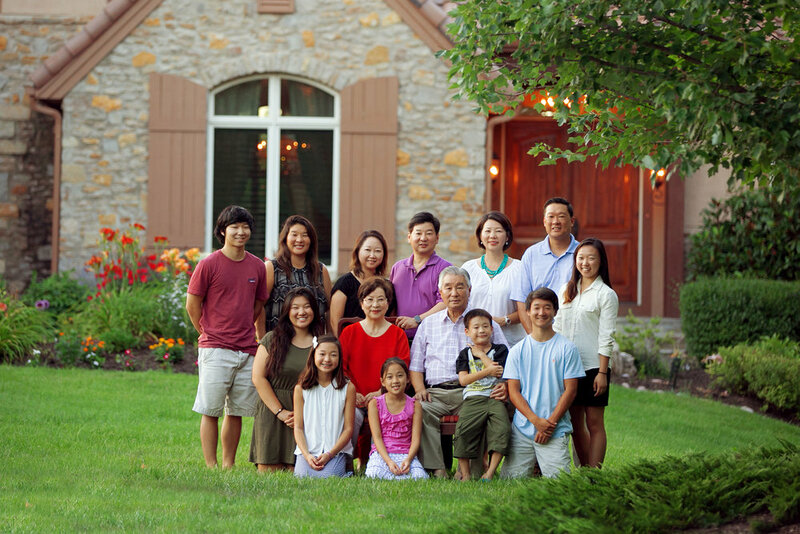 Yon Chung Photography is a family portrait photographer that can take your beautiful generation portraits. Contact me for complimentary consultation. I've always loved talking about it. Every photographer has a preference. Some like it darker. Some like it a bit brighter. Some like it just right. whatever that means. But being able to translate what you want, your vision and your creative mind and somehow be able to capture it and print it on paper. That would be the ultimate final goal. This class was just to teach them the tool. The very basic. Understanding the light triangle. Understanding why in certain situations we need would raise this or lower that. It takes so much thought and deliberate clicks to get what you want. My students. So eager and so much to learn. They were the best! They were clicking and turning and pressing those buttons. All in their manual mode. It was exciting to finally know why we do what we do. Why sometimes things are too bright sometimes turns black. ah... the mystery has been revealed. Now they can play purposefully. No. They don't know EVERYTHING. It's not automatic yet in their mind. They will need to practice on their own in their own time. But I've provided them the knowledge and the tools. They can now adventure deeper. I'm so excited for them!!! Hopefully, I will be able to teach more. Virignia, I am coming to you. Learn you will!!! That camera sitting on your shelf unloved and untouched... You will love it again! Thank you for participating! Super excited to announce our two winners from Yangon and Northern Virginia. Please congratulate them! I will be contacting you shortly. Please be sure to check in spam just in case! You have been gifted a petite session with 1-5x7 print matted on museum archival quality 8x10 mat. You will also be gifted 2-8x12 printable digital images. Oh the joy!!!!! Thank you everyone for being such a great supporter!! I have finally reached a 1000 FB milestone. Numbers don't really matter but it feels good to know that at least 1000 of you have supported me. I love all your comments and shares. It gives me a boost to present to you even better images! Deadline is April 8, 2015 (Wednesday) Winner will be announced by Friday! The session is good for Petite Family Portrait, couple, glamour or children photos. The session will last 30 minutes and you will receive one - 5x7 image matted in 8x10 museum archival professional grade mat as well as 2 digital images printable up to 8x10 images. Photo Session for Yangon winner will take place before April 30, 2015 at 7mile. I love this expatriate life with my children. They get to experience and live among children they would normally not have been able to meet if they were back "home." They have friends in Egypt, Australia, Japan, Korea, Malaysia, Hong Kong and the list goes on. The world is really one for them as long as we have the internet. =) But the downside of this expatriate life is that most of their friends are expatriates as well and they leave when it's time for their family to move on. When their friends leave, there's a void in my children's hearts. It takes time to heal. It's quite painful when it happens. But they survive. Heartaches heal. It takes time. But they make new friends. They long for their old friends but are glad to have met new ones. This set of photographs are of my daughter and her new friend. It helps too that her friend is so friendly and behaves as if she's been there all along! haha I'm hoping my kids pick up this manner so that when we move to a new place, it's not too difficult for them to integrate into the community. We love this life, with all the heartaches and all.